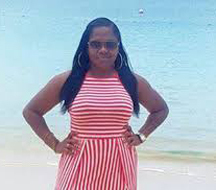 Tecona Welcome, 27, of 391 Austin Street, Campbellville, Georgetown, was on trial before Magistrate Alisha George at the Sparendaam Magistrate’s Court. It is alleged that on June 24, 2017, at Liliendaal Bridge, Greater Georgetown, she drove motor car PSS 7195 in a manner dangerous to the public thereby causing the death of Debra Pompey, of Lot 473 Belle West Housing Scheme, West Bank Demerara. Welcome was also charged with driving under the influence of alcohol. She pleaded guilty to this offence on her first court appearance and was fined $20,000. 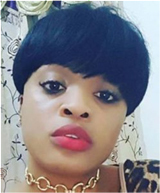 On Thursday when the matter was called, Magistrate George told the court that she was satisfied beyond reasonable doubt that Welcome on the day in question drove in a manner dangerous to the public, and caused the death of her friend. The Magistrate went on to tell the court that she also believed the witnesses that were called on behalf of the prosecution, hence she sentenced Welcome to three years imprisonment. Throughout the trial Welcome was out on $500,000 bail pending the determination of the case. According to information, on the day in question, an intoxicated Welcome was the driver of vehicle PSS 7195 which had her five friends. They were returning from a celebration at the Giftland Mall after attending a bridal shower. It was reported that the car, PSS 7195, was reportedly proceeding west along the Railway Embankment at a fast rate when the driver lost control and slammed into the southern rail of the bridge. Those injured in the accident were identified as 20-year-old Rodlyn Grace of Lot 24 Blygezight Gardens, Georgetown; Shameica Martin, 18, of Lot 84 Sideline Dam, Beterverwagting, East Coast Demerara; 26-year-old Teneisha Hubbard of Lot 473 Belle West, West Bank Demerara; and Saskiya Boyer, 30, of Lot 228 Lodge, Georgetown.